The first four leaf clover (Quadrifoglio) appeared on an Alfa Romeo driven by Ugo Sivocci for the 1923 Targa Florio -- he came in first place. At a subsequent event in Monza, Signore Sivocci did not decorate his car with the green leaf over a white square, and he tragically lost his life. Future Alfa racers decorated their cars with a Quadrifoglio on a triangle shaped white background -- the missing corner to symbolize their missing friend. 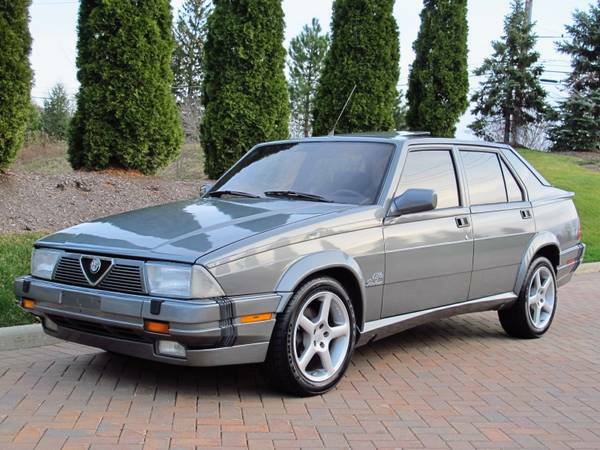 Eventually the Quadrifoglio made its way onto street cars as a trim level designation, such as on this 1988 Alfa Romeo Milano Quadrifoglio Verde 3.0 offered for $11,000 in Willoughby, OH via craigslist. The Alfa Milano might not be Irish...but neither was St. Patrick (born in the 5th century in Roman occupied England or Scotland) so this Quadrifoglio Verde spec'd 164 is the perfect car to celebrate the great Irish snake chaser. 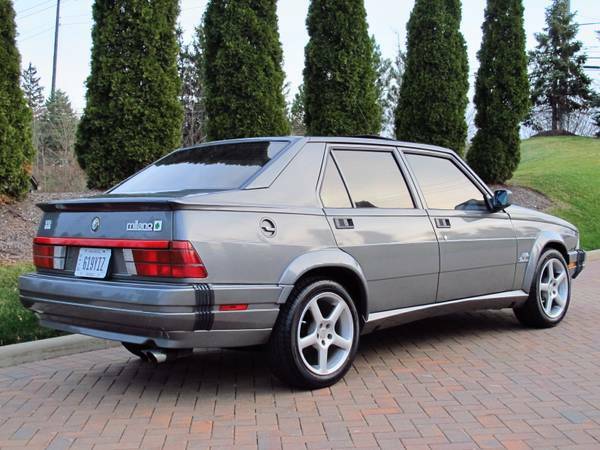 Please don't confuse the Milano (known as the 75 outside of North America) with the later front-drive 155/164 -- this is the rear deal, a front engine, rear transaxle equipped 4-door that features near perfect weight distribution and a de Dion tube rear end with inboard brakes. 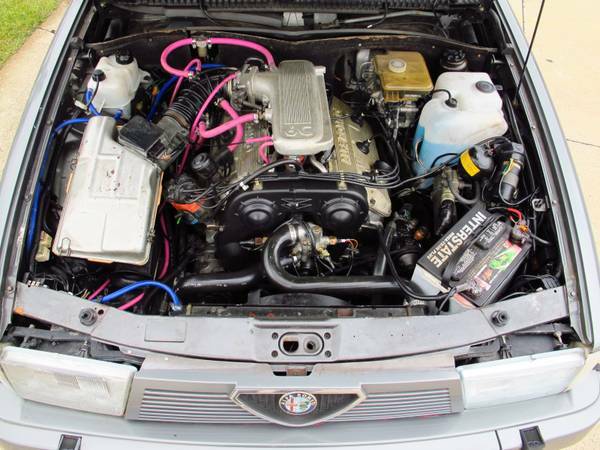 Up front is a 3.0 liter Alfa Romeo V6 that puts out 188 horsepower and 184 ft-lbs of torque when stock, but this one has been modified with upgraded cams, exhaust, and pink hoses -- it should be very healthy! 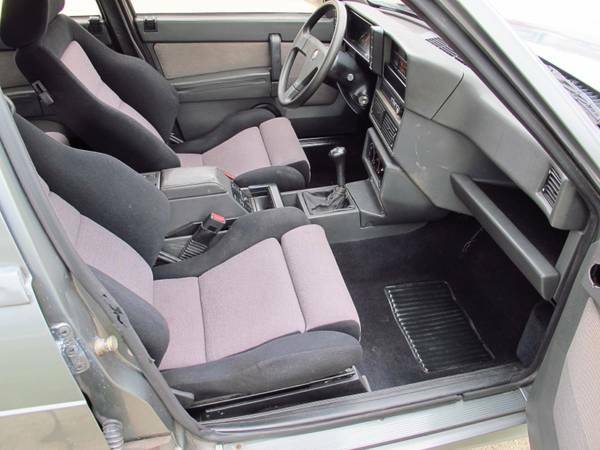 The seller describes the car as being collector-owned for the last two decades and garaged, well-kept, well serviced. Inside and out it looks really clean, which is what you would expect for the lofty asking price. "Unfortunately, the high price meant only a few hundred were sold." That and it is ugly and aside from the truly brilliant V6 and fine handling, these cars need to be owned by someone who is love with the car, and won't blink an eye when receipts mount. It is part of the charm. Casual romances will end up poorly. Change the file name from Beach House Fund, to Alfa Repair Fund and all will be well. Accepted number of Verdes sold in its the 3 year run in the U.S. is 880.